Please Verify that your SQL Server is 32-bit. QRemote also works for 32-bit application as an alternative to Dcom. 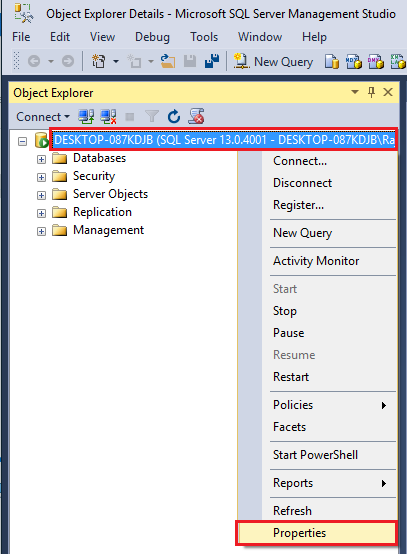 As SQL Server is a service based application it has to either use Dcom or QRemote. 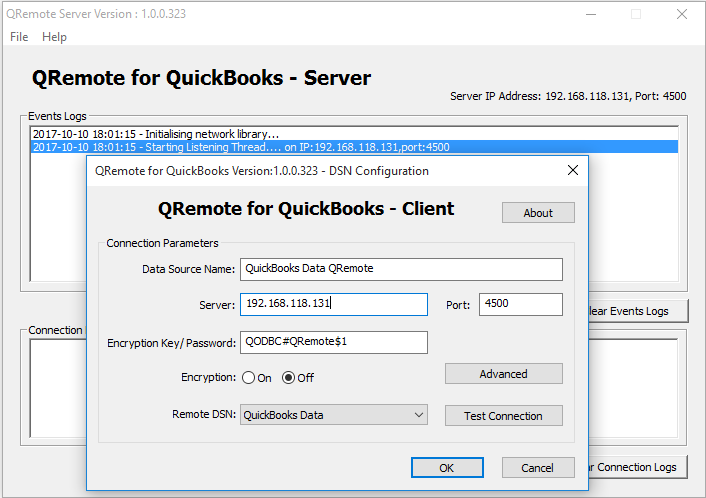 QRemote has two components "QRemote Client Driver for QODBC" and "QRemote Server for QODBC"
Make a note of IP address and Port number listed on the QRemote Server "Event Logs window"
Configure the DSN and provide the IP address and Port as listed under "QRemote Server"
Provide the "New Linked Server" information: Insert your desired Linked Server Name, select provider Microsoft OLE DB Provider for ODBC Drivers from provider list & insert "QODBC" as Product name & "QuickBooks Data QRemote" as Data source & click "OK" button. 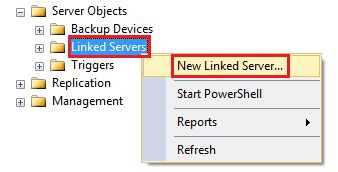 After you have accepted the Certificate, the Linked server will be shown under "Linked Server" Category. On each query, QRemote Server Logs the events, If you are facing any issues or delay in response, please refer QRemote Server Event Logs for details on which stage it is taking more time. "[QODBC] QODBC Server Edition License Required." You have run out of the 30-day trial/evaluation version, If you still wish to evaluate QODBC, Please contact our Sales team. "QRemote" or "QODBC" contains multiple tables that match the table "TableName"
I have the read-only version included in the enterprise product. All I want to do is export data to SQL server. I can connect from the VB demo and from Excel but not from SQL server (I always get cannot open Reckon Accounts). c:\Program Files (x86)\intuit\Reckon Accounts 2015\DBManagerExe.exe StartServer 32. Please restart your machine & please run Reckon, login to your company file with Admin user & try to connect using your application. 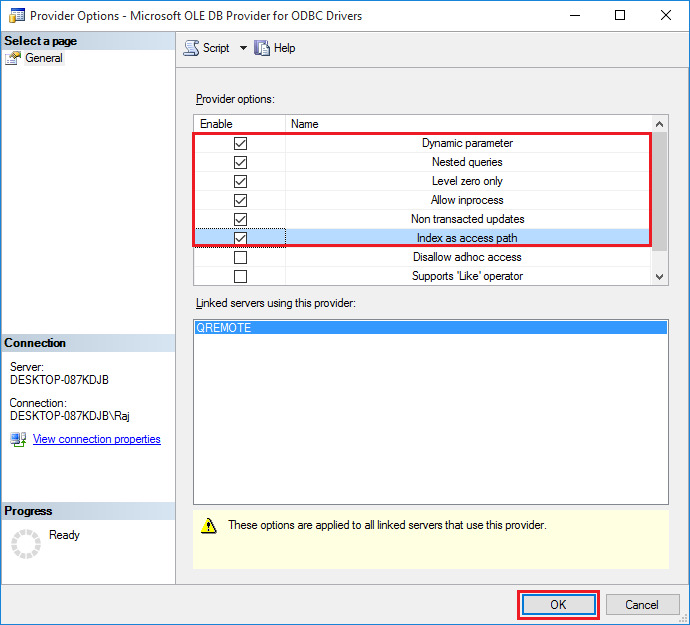 To use DCOM Server & SQL Server with QODBC, you need a QODBC Server Edition license required. 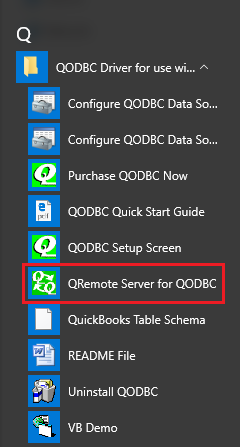 Please use QRemote Server instead of DCOM Server to connect to SQL Server using QODBC. Please get in touch with your QODBC dealer for the purchasing QODBC Server Edition license. I can't believe that after buying the desktop version... 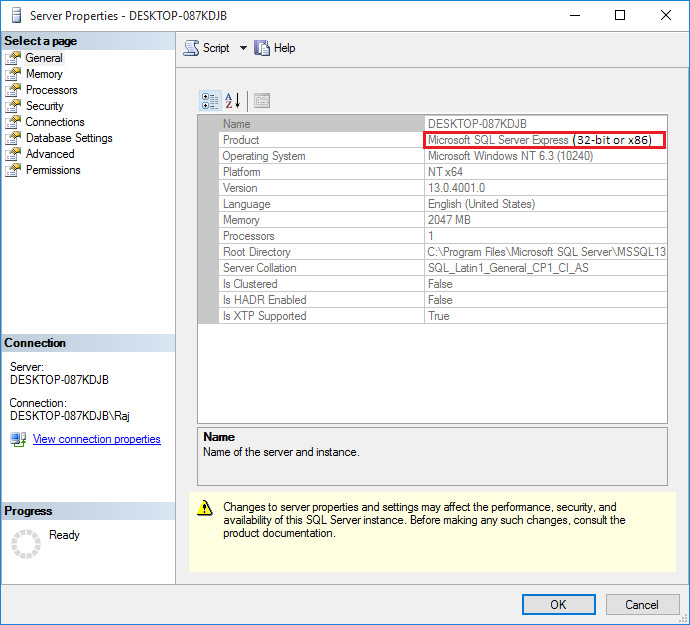 I just found out that I can't connect to SQL server with the desktop version. How can i get a refund or upgrade to the server edition. I would like to inform you that you when the machine using the services likes a webserver, PHP MS SQL Server and connecting to QRemote/QODBC need a server license. If connecting remotely, one which runs such services needs a Server License. Another one there is QRemoteServer running; it needs a QODBC License (could be Read only or Read Write). The sales team was kind enough to give me a 30 days trial of the server edition. However am not sure if my 30 days trial support read write access because i can now setup the connection from sql server 2013 but i can write data to quick books tables. Please see error below. 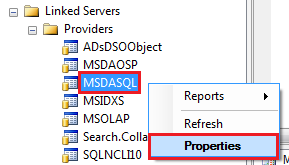 OLE DB provider "MSDASQL" for linked server "QODBC" returned message "[QODBC] Not supported". The OLE DB provider "MSDASQL" for linked server "QODBC" could not INSERT INTO table "[QODBC]...[item]". I would like to inform you that when QODBC is installed on a new machine it starts with 30 day evaluation All features are active (i.e. Desktop Edition Read/Write, Server Edition Read/Write, QRemote) upon download and no code is required during the first 30 days. The only restriction of the evaluation version is 20 write operations per session. It works in desktop or web/server operation modes during this period. But QODBC evaluation version will turn to Read Only edition for QuickBooks enterprise edition – automatically after 30 days (If QuickBooks Enterprise Edition v10 or above is installed). 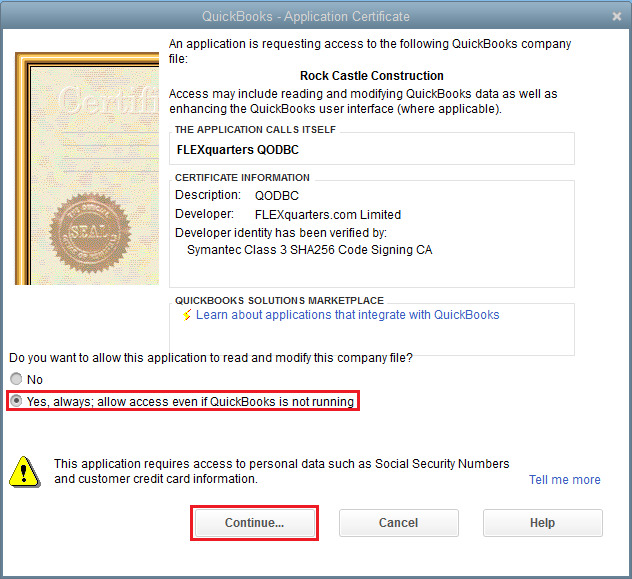 QODBC Read-only edition for QuickBooks Enterprise does not include QRemote License. So after 30 days, you may not be able to use QRemote. I would like to inform you that Item table is read-only table, you cannot insert record in Item table. You can insert record ItemInventory, ItemNonInventory, ItemOtherCharge & on other Item table depend on Item type. 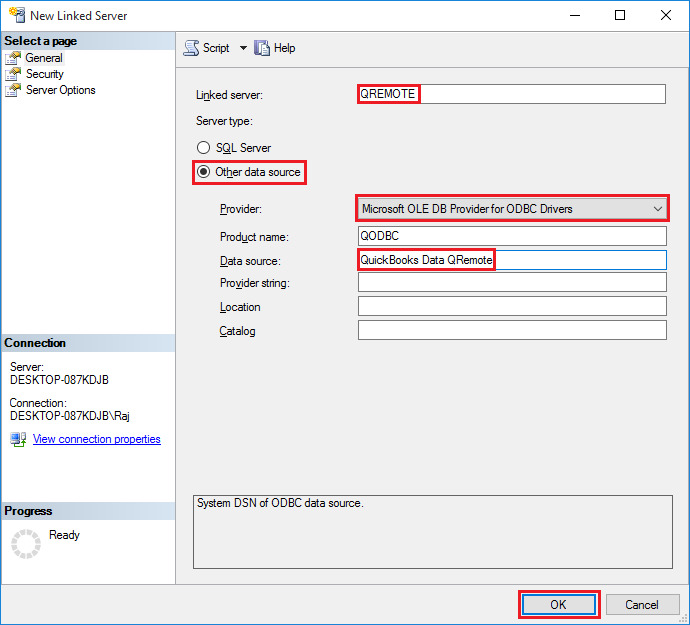 can MS SQL Server Management Studio 32bit connect to QuickBooks Data DSN by QODBC Driver without QRemote? If all applications are on the same machine, and both use 32bit, why is QRemote required? 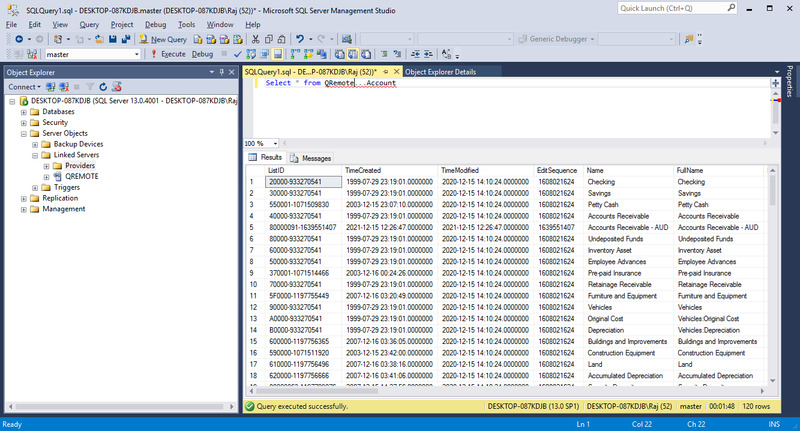 Yes, MS SQL Server Management Studio 32bit can connect to QuickBooks Data DSN by QODBC Driver without QRemote. 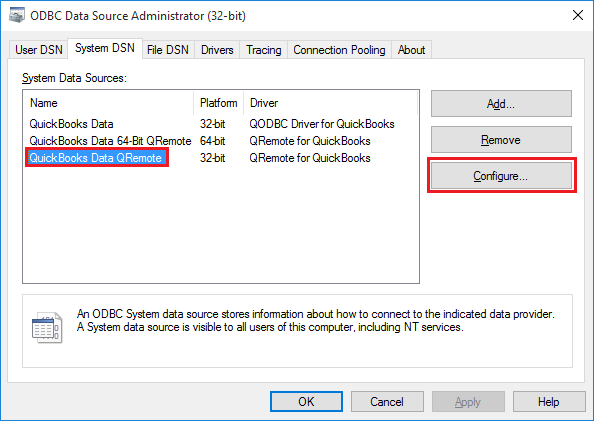 To use QuickBooks Data DSN in SQL Server you need to setup DCOM Server. 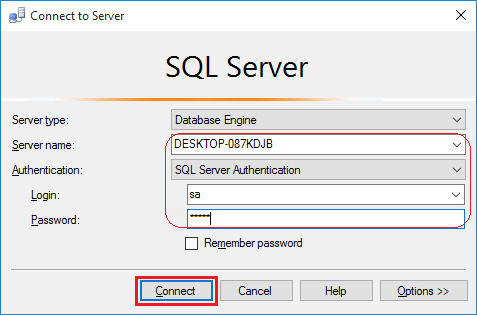 You can configure DCOM Server using below mentioned article, after setting up DCOM Server you need to use DSN QuickBooks Data in SQL Server instead of QRemote DSN. Please note this configuration will work only on local machine only. The specified data source contains an architecture mismatch. Dear is server edition read only function works after the trial. I would like to inform you that when QODBC is installed on a new machine it starts with 30 day evaluation (All features are active). But QODBC evaluation version will turn to Read Only edition for QuickBooks enterprise edition – automatically after 30 days (If QuickBooks Enterprise Edition v10 or above is installed). 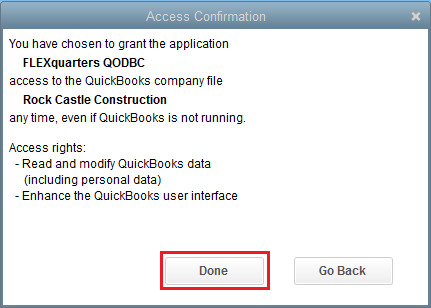 So you can use QODBC as read only with the QuickBooks Enterprise edition. When the machine using the services likes a webserver, PHP MS SQL Server and connecting to QRemote/QODBC need a server license. If connecting remotely, one which runs such services needs a Server License. Your crystal report will work with QODBC read only edition with QuickBooks Enterprise. You don't need server edition license for crystal report. Hello .... QODBC noob here ... How do I run a database/table trace via qodbc while doing transactions in Reckon? I would like to inform you that QODBC is not a database tool, but rather a translation tool. QODBC is an ODBC driver (DLL) for QuickBooks Accounting format files. QuickBooks Accounting stores it's data in it's own proprietary DBMS file format. This driver allows users of any ODBC compliant front end application to read and write data contained in QuickBooks Accounting format files similarly to any other ODBC enabled database. QODBC works by accepting SQL commands from applications through the ODBC interface, then converting those calls to navigational XML commands to the QuickBooks Accounting DBMS and returning record sets that qualify for the query results. 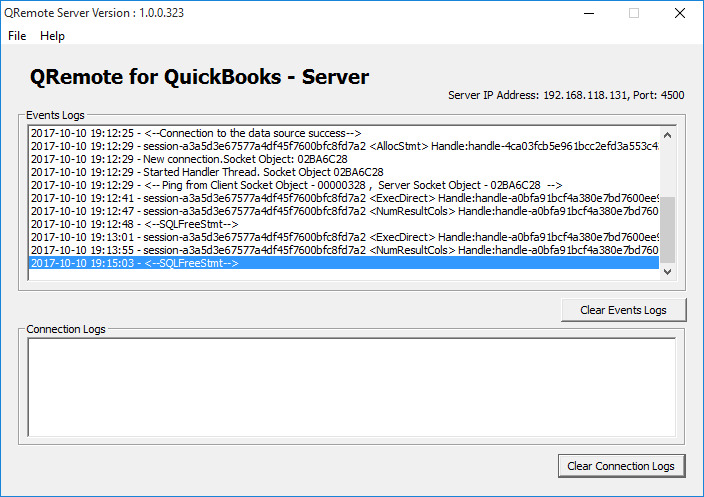 This driver is not a Client/Server product, but rather communicates directly with the QuickBooks application as it runs. 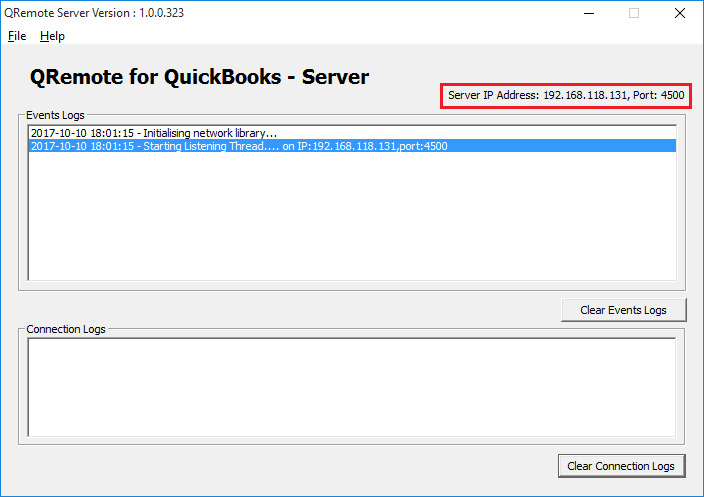 QuickBooks is a flat file database, and this driver will not change it into a relational database, so keep that in mind when developing with this driver. QODBC acts as a 'wrapper' around the Intuit SDK so customers can finally get at their QuickBooks data using standard database tools; speeding development time. 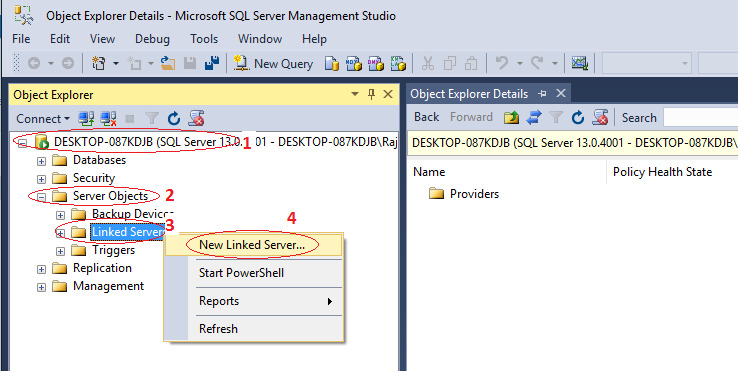 Hi I have purchased QODBC and after setting it up with sql server through the steps for linked server. Everytime i access a table that has huge voulme of data eg 30000 records it blows up and crashes quickbooks? Is there a solution for this as i have many tables like this. I would like to inform you that QuickBooks crash is related to QuickBooks. We may not be able to provide much help on the issue. I kindly request you to contact with Intuit to solve the issue. We are trying to move from Quickbooks version 7 to version 15. 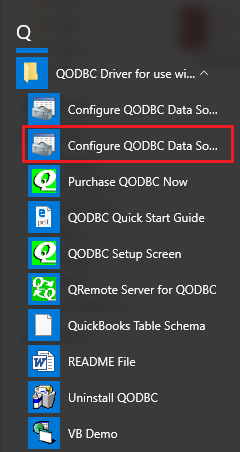 We are able to get QODBC working with version 15 and we can access the Quickbooks database via SSMS just fine. 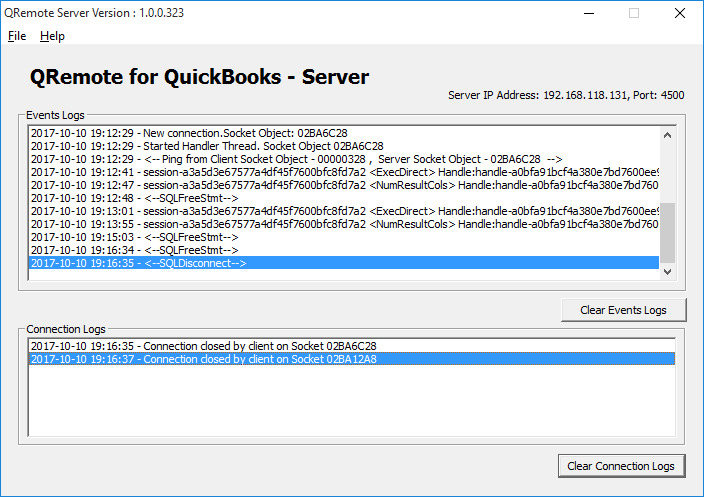 However, upon doing a server reboot we go into the "QODBC Setup" program and do a "Test Connection to Quickbooks" and the test fails. We then try to get into Quickbooks and the database is no longer inaccessible. The Quickbooks error message is: "Quickbooks Unrecoverable Error" followed by a message asking for a description of what was being attempted. We have tried this several times and the results are the same every time. Obviously, we have to be able to reboot the server on occasion. Is there a patch or solution to this problem. Thanks much.